Analysts see 8,000 cars a week happening with minimal capital spend. For most Tesla Inc. (TSLA - Get Report) watchers, the last week and change has been all about that Elon Musk tweet where he suggested taking the company private. But while everyone was fixated on the latest source of Tesla-related drama, they were missing a very different story coming out of Tesla's Fremont factory: The company has been meaningfully ramping up Model 3 production numbers. According to a note from Evercore ISI analysts George Galliers and Arndt Ellinghorst on the heels of a visit to the Tesla factory, it looks on track to meet its goal of consistently producing 6,000 Model 3 sedans a week by the end of August. 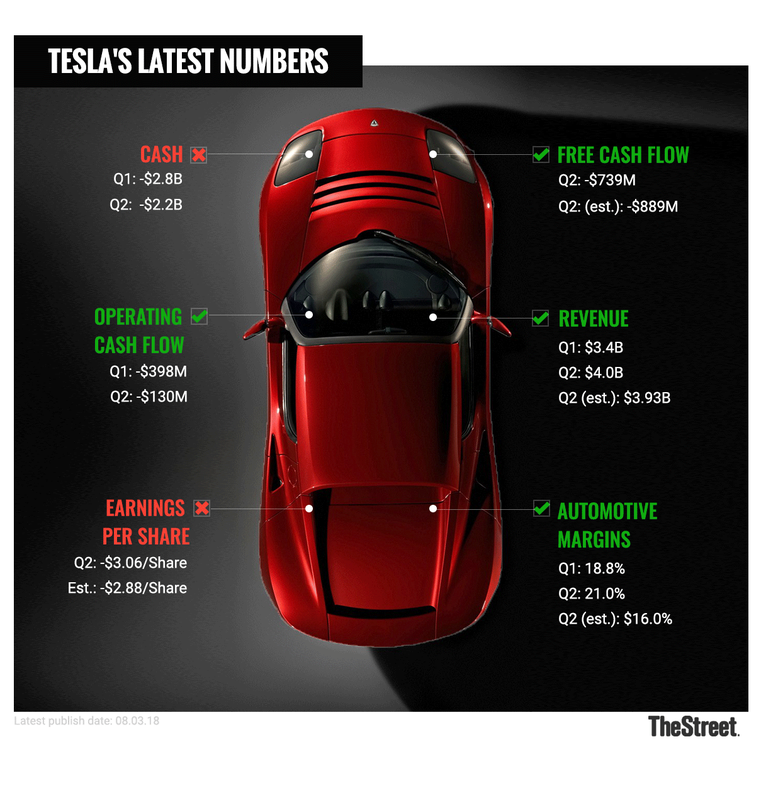 "We are incrementally positive on Tesla following our visit. We have confidence in their production. We did not see anything to suggest that Model 3 cannot reach 6k units per week, and 7k to 8k with very little incremental capital expenditure," said the note. Those numbers jive with Bloomberg's expectations for Model 3 production, which currently estimates that Tesla is building 5,321 cars a week right now, with a forecast approaching 6,000 cars a week in August. That's meaningful because a key piece of the short thesis against Tesla has been that the company wouldn't be able to reach and then sustain the scale needed in Model 3 production to hit its targets. Now, Tesla appears to be on track to do exactly that. Tesla's execution improvements appear to help make the case for the benefits of the going-private deal; while investors were distracted by a bigger story, Model 3 production lines pulled off what Musk and company had been promising all along. That doesn't necessarily mean that the deal to take Tesla off the public markets is going to happen. As of this writing, markets are pricing in a mere 20% chance of Tesla going private at $420 based on where shares were when Elon announced the possibility back on Aug. 7. Among those who don't see it happening are shorts; according to S3 Partners' Ihor Dusaniwsky, 33.74 million shares of Tesla are still being held short. But whether the going-private deal happens may be academic, at this point, particularly if Tesla is able to continue to shore up its execution and hit Model 3 production and overall profitability numbers as planned.